Thunder Bay, Ontario, Canada— Victoria, B.C. 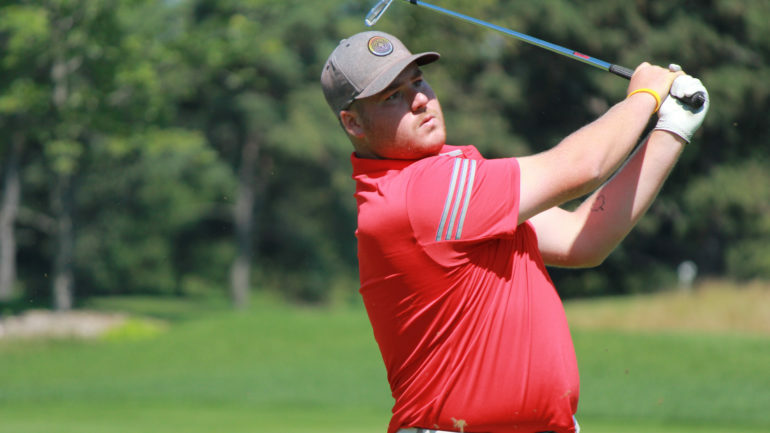 native Jake Duvall played his best golf of the season during the first two days in Thunder Bay, shooting 68 and 67 to head into the weekend T9, and is the low Canadian to Friday after the second round of the Staal Foundation Open. “I think with the wind down, the soft condition and playing the ball up in the fairways, if you’re hitting fairways it’s pretty gettable and the greens are pretty receptive. It’s a good golf course; there are some long, long holes and that plays as an advantage for me, because I’m a long hitter.” said Duvall. The only player in the field at Whitewater Golf Club without a blemish on his card through two days, Blake Olson has played as close to flawless golf as you’ll see and has jumped ahead to a two-stroke lead. 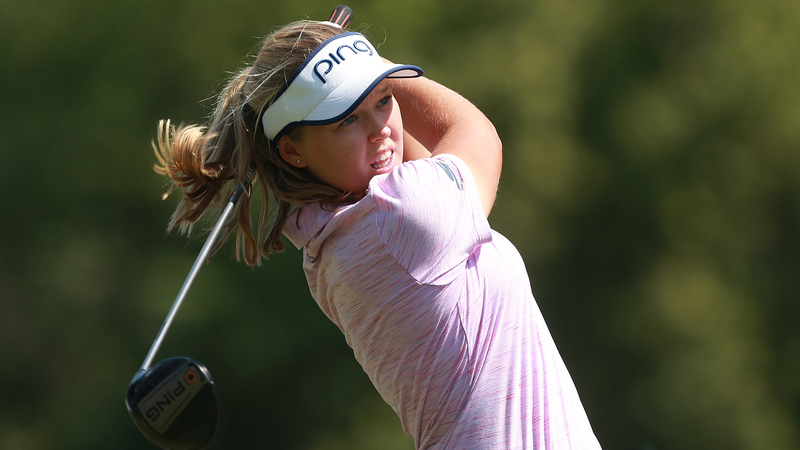 Olson, coming into the event with momentum from three rounds in the 60s last week at the Windsor Championship, backed up a first round 66 with a six birdie, one eagle 64 for a 14-under total. After making birdie on his first hole, the Pensacola, FL native jolted himself up the leaderboard quickly on the par-5 third hole, striping a five-iron to six feet, which he would clean up for eagle moments later. Adding two more birdies on the front to his three on the back, the 27-year-old happily signed for a 31-33 card, tying his low on the Mackenzie Tour this year. “I’m a big fan of the golf course,” said Olson. “It’s just so different from both the first two weeks and the last two. The first two were tree lines and shorter, while the last two have been wide open with not many trees at all. Olson, who played seven events on the Web.com Tour in 2016, saw his best finish at a PGA TOUR sanctioned event earlier this season at the Freedom 55 Financial Open where he came T10. He is currently ranked 32 on the season long chase for The Five and the Web.com Tour status that comes with it. Nearest to Olson are Australian Brett Coletta and American Zach Zaback, who shot 65 and 64 respectively on Friday to move into a tie for second.